I’ve been tinkering around with Midnight Hollow and I thought I’d share. These aren’t full builds, just edits of EA lots. Midnight Hollow has great buildings. Here is the “For Lease” Lot with a bunch of gothic stuff for sale. I barely changed anything except to put stuff on the sale shelves, etc so I didn’t take pictures. Here is the “For Rent” lot from Midnight Hollow made over into a Miss Kitty’s House of Gadgets, a steampunk store. I did more decorating in the lot. And finally, a more extensive remake of the Gloomy Garden. I liked the ruined tower and wall of the garden, so I kept them, but added plants from all EP’s (except mushrooms), a Wedding Spot, some bathrooms, and a fire pit. (This one is on Box net for now). I use store stuff and have all EP’s. Anything you do not have in your game will be replaced with base game items if you install it. Two Uploads in One Day! How are you supposed to hang out in Isla Paradiso without a decent Hangout? (say that 10 times fast 🙂 ) 20 x 30 lot. by Trystiane. (if this looks suspisciously similar to my Cafe Cove, its because well, it is Cafe Cove made into a Hangout). Open to sailors, pirates and landlubbers alike, Lydia’s Elixers are gathered from exotic corners of the earth like New Jersey and Baltimore. Come for the Elixers, stay for the Pirate Bar and bordello next door. 20 x 15 lot to make it easier to place in Isla Paradiso. I built Draka’s Consignment and Pets to go in Isla Paradiso. This very small (20 x 15) lot should be relatively easy to find a spot for whether you put it down on an empty lot, or use the new lot placement features to settle it down on a larger lot. You could even put it on a beach… All EP’s, SP’s and Store Stuff. Yes, even with IP out I can’t stay away from Dragon Valley. So I decided to bring IP to the Valley. Port Dragon Valley is a 54 x 60 lot made to go right along the coast on the Loch side of the map. You may have to delete the small 30 x 30 lot on the road to make this fit right. But I think its worth it. I dropped down 4 10 x 15 lots in the open space left over to build small dockworker and sailor houses. For now, the lot is decorated only on the outside. I plan to upload a second version with a tavern and some stuff to do as well. 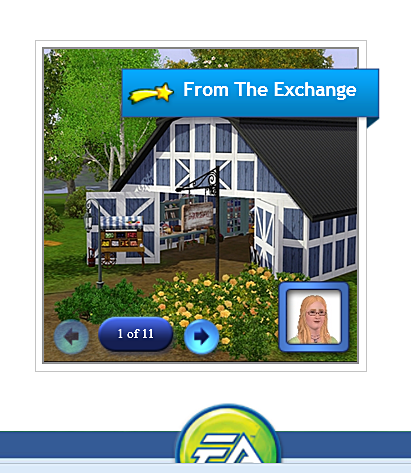 I did use a custom wall made to match the barn walls, but it is not included the sims3pack, so you may have to replace a small section of wall covering.